A fringed plain weave cowl, with eccentric lines and texture. 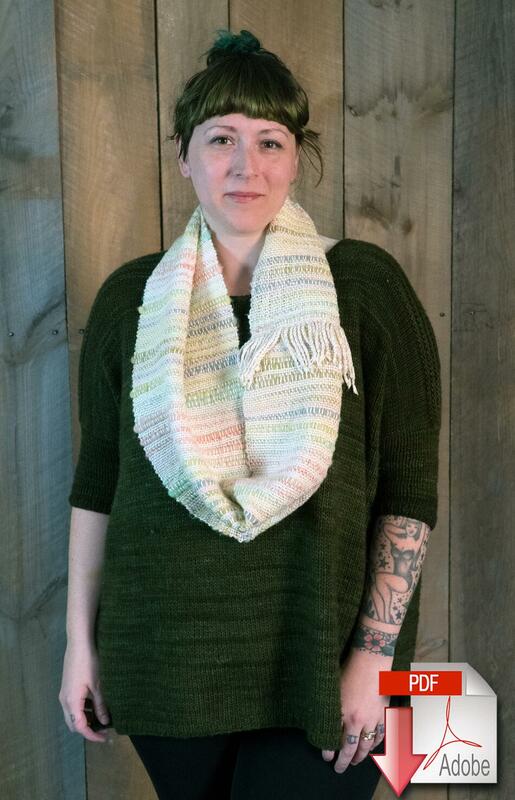 Thick and thin yarn woven with an uneven beat on the rigid heddle loom creates a textured, wavy infinity cowl. Depending on the slubs of the weft yarn and the angle of the beat, each cowl will be completely unique! 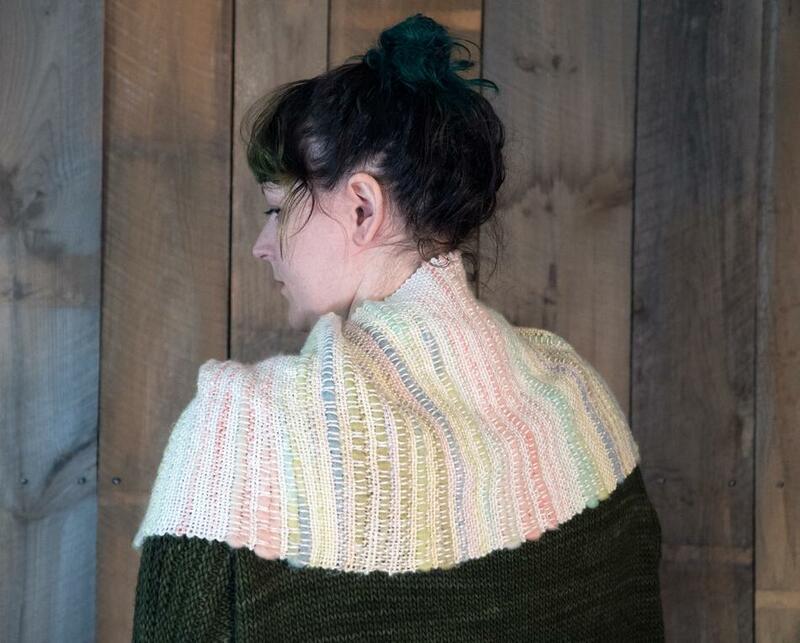 Pattern requires a rigid heddle loom with a weaving width of at least 10", and a 10 dent reed. Uses just one skein of Bamboo Bloom and one skein of Gemstone Soft Twist Silk. Finished cowl measures 10" x 48" with 4" twisted fringe at the center seam. Related items: Rigid heddle loom with a weaving width of at least 10 inches, 10 dent reed, threading hook and warping peg or board.